The 2019 Nissan Kicks has just arrived on the market. Introduced at the 2017 Los Angeles Auto Show, the Kicks is entering its first full year on the market as one of Canada's most affordable SUVs. 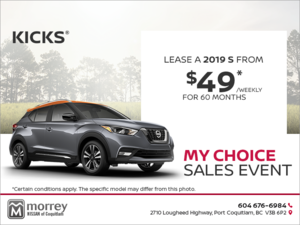 Yes, with a starting price of only $ 17,998, the 2019 Nissan Kicks is a spacious SUV for those who need versatility without having to stretch their budget. That said, the affordable price of the new Nissan Kicks is just one of many reasons to put one in your driver. There are several others. 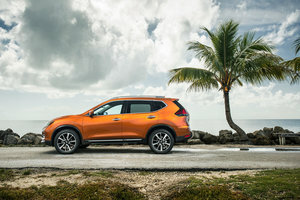 Let's take a closer look with three reasons to buy a 2019 Nissan Kicks. 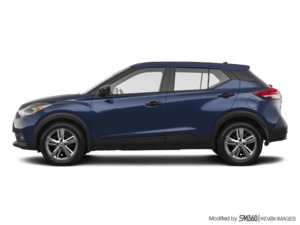 The 2019 Nissan Kicks is powered by a 1.6-liter four-cylinder engine developing 122 horsepower and 115 lb-ft of torque. This engine is paired with a continuously variable automatic transmission (CVT) that maximizes performance to achieve dynamic, sporty performance on the road. That said, the Kicks stands out above all with its exceptional fuel mileage as well. Indeed, the new Kicks has a fuel consumption rating of only 7.7 liters per 100 kilometers in the city and 6.6 liters per 100 kilometers on the highway. It's more economical than a Ford EcoSport, a Honda HR-V or a Hyundai Kona. With the Kicks, we get an affordable SUV both when we buy it and when we fill it up. Despite its compact dimensions that make it easier to use in the city and lower fuel consumption, the Kicks still offers 716 liters of cargo space. 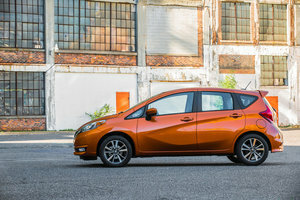 Compared to other city SUVs, the Kicks is the largest in its class, surpassing the Ford EcoSport, Hyundai Kona and Mazda CX-3 by over 100 liters. 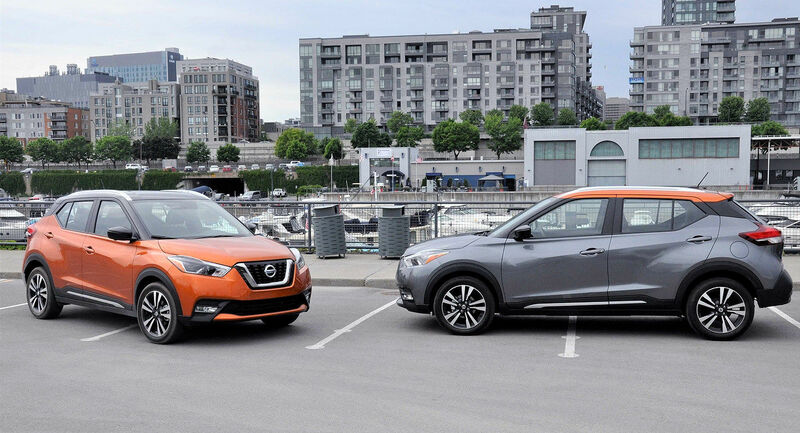 The 2019 Nissan Kicks is affordable, yes, but it is also very well equipped. It offers a standard automatic transmission, push button start and rear-view camera. It also offers an emergency braking system in the city that prevents accidents if we are distracted. 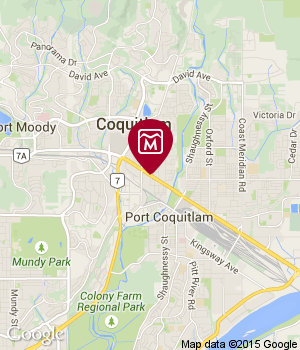 To learn more about the all-new Nissan Kicks, contact us today at Morrey Nissan of Coquitlam.